Considerable thought and research should be taken when looking to invest in a wheelchair. 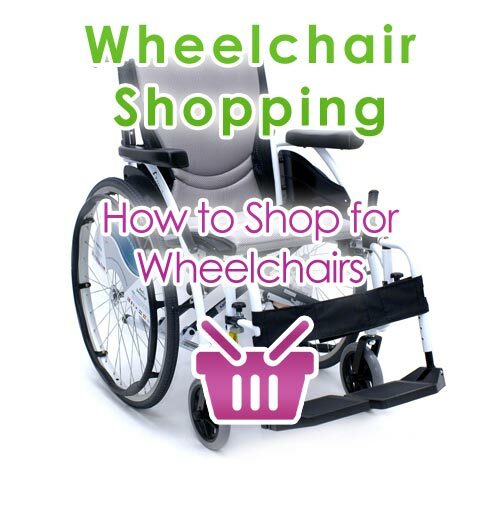 It is a good idea to gather good info about your wheelchair purchase from the beginning. Spending money maintaining a badly design one with poor quality parts or putting accessories on a poorly equipped one will ultimately cost you just as much in repairs as you paid for the original chair. Regardless of how acquainted your physicians and therapists are on your physical health, you are the authority on yourself. The ultimate decision on your wheelchair purchase must result from you; but you will certainly benefit from the kind of guidance you will get from other people who own wheelchairs at your rehabilitation unit, senior facility, or health support network. They will be able to let you know what has proved helpful for them, but consider it just as tips and hints and not as the deciding factor in your wheelchair choice. Wheelchair makers have loads of information and facts on hand on their different wheelchair versions. There is more info at online user discussion forums all about wheelchairs. You can do some of your own calculating to help figure out the functions your wheelchair must have. Determine the width of the doorways along with the angles of the turns which your wheelchair must go around routinely; test the knee space beneath your tables and desks; figure out the height of shelves and cupboards which you'll regularly use; and take into account the different floors on your home like tiles, concrete, wood, or carpet. For those who have a backyard, is it lawn, sand, earth, or something different? Next, produce a transportation evaluation. Will your automobile have capacity for a wheelchair which cannot collapse? If you are going to need a non-collapsible electrical wheelchair, how are you going to travel with it? Do you have a strategy for using public transportation? Integrating a wheelchair effectively into your everyday life can be tricky. If you make the incorrect decision, you will end up getting a wheelchair, which does not allow you to access areas of your own house, or puts your security in danger if you do. If your wheelchair style makes it hard for you to get near to the shower area or toilet, you'll have to be capable of getting yourself the remainder of the way somehow, and if there is no one to help you, it could be a dangerous situation. The point is that you need to take lots of time in selecting your wheelchair. Examine as many versions as you like; don't feel anxious to get the selection made. You'll need your wheelchair for quite a while, so be sure it's the one you are able to live with.